and endless tapas bars. It was paradise. 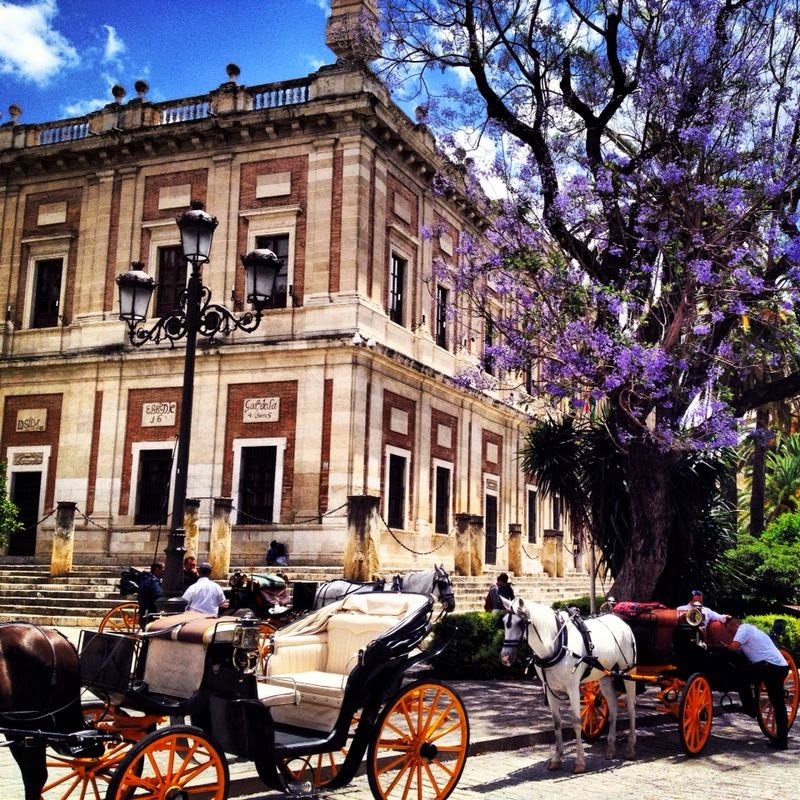 During my visit I checked out a few sites, with the help of Sevilla walking tours www.sevillawalkingtours.com . Our tour guides ( Concepcion and Alfonson) were pretty exceptional and had tons of local knowledge. 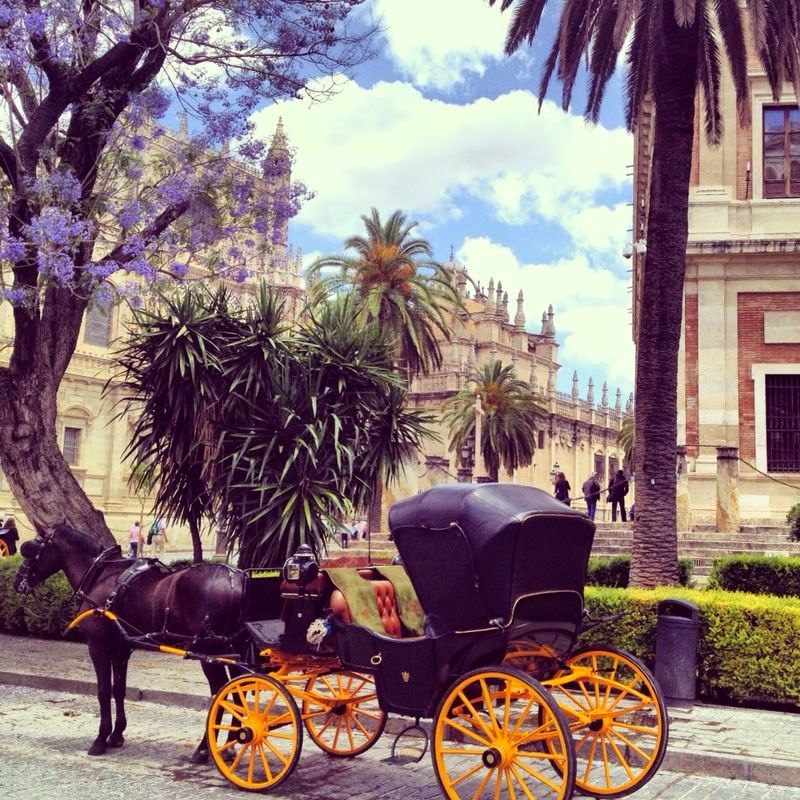 Once we were out exploring the town we came across some fantastic restaurants, one of our favourites was Don Juan ( which I kept saying over and over again, cool points for the name alone) opposite the worlds third largest cathedral (Catedral de Sevilla). The food is great, authentic, Spanish tapas with all your usual suspects such as tasty ham, chorizo, cheese and seafood etc. These had a lovely creamy texture, in my opinion, prawns really do make this dish. 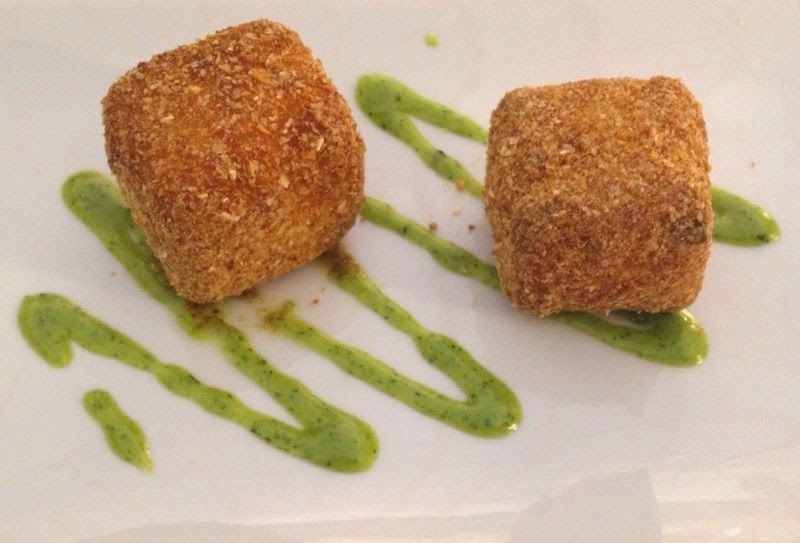 A friend of mine would beg to differ as she was a fan of the ham and chicken croquette which she described as crisp on the outside but creamy and slightly meaty on the inside. 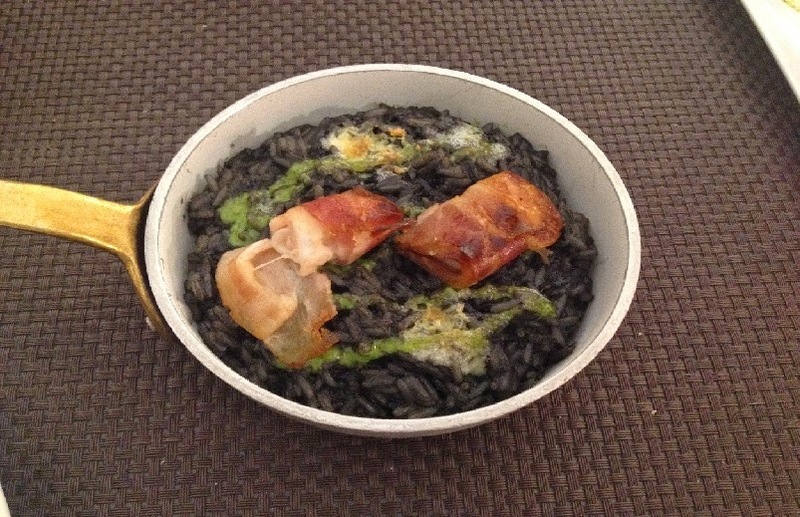 Risotto-style rice with baby squid cooked in ink and garlic mayonnaise. The risotto in the dish was exceptionally creamy, the squid which was tender and juicy was wrapped in ham, this gave the dish a smoked flavour and added a slight crisp texture in contrast to the creamy risotto. The saltiness of the ham also complimented the garlic dressing. 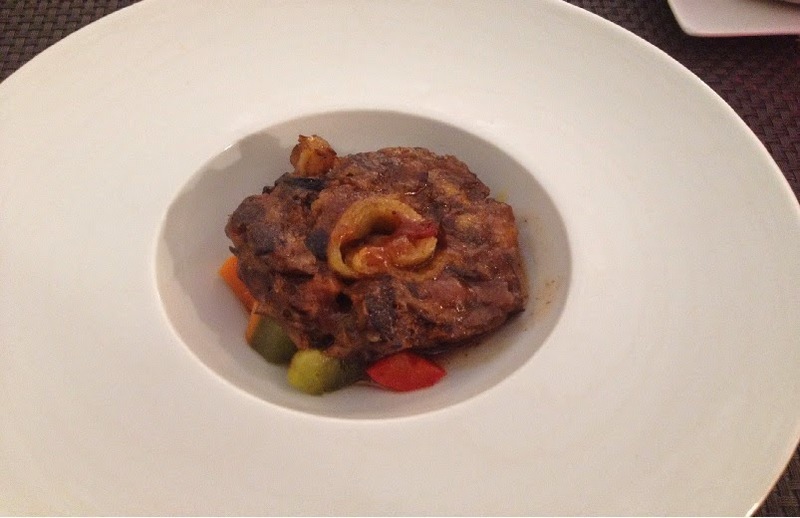 This oxtail is very tender and breaks apart at touch.I like the idea of it being deboned and reconstructed.It came served on a bed of diced peppers and carrots, which was very soft but bland. It was a nice dish on the whole however i feel that there are better options on the menu as the flavour of the whole dish wasnt bold and exciting. 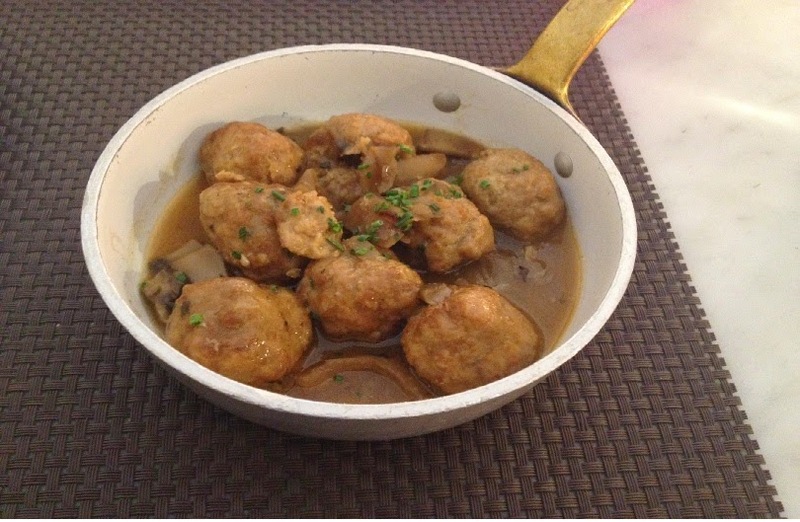 Sartén de albondigas de venado y setillas. Poéle of venison meatballs and baby mushrooms. This dish had a very homely feel about it.The venison meatballs came served in a shallow pool of earthly mushroom gravy which went perfectly with the complementary bread. Overall our trip to Don Juan was a pleasant experience. They managed to combine fine dining with traditional tapas with great value for money. 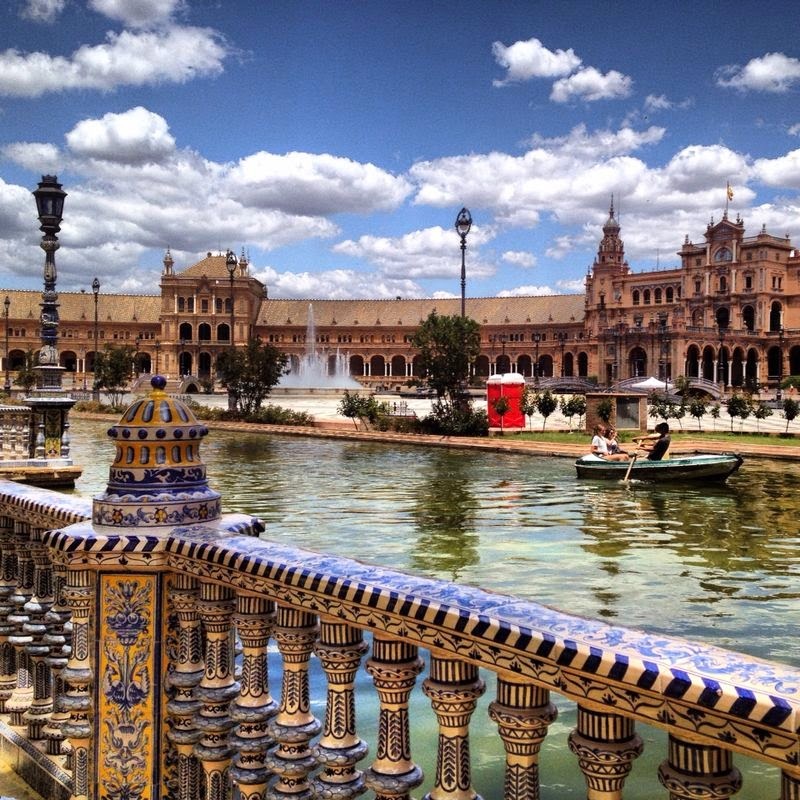 One of your Seville photos is a background on my school computer. Lovely images.